Thanks to the Internet, Yoga education is now available for everyone with a computer. 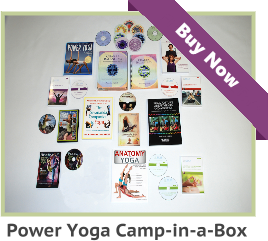 Online Yoga teacher training courses are helping anyone to become able to self-manage his or her health. Empowering one’s self with the ability to self-manage your health is a life saving benefit. Yogic practices continue to increase in mainstream popularity, as the ancient wisdom of a Yogic lifestyle becomes known to more and more people. Scientists are researching and studying the various aspects of physical Yogic exercise. Meanwhile, the medical community is impressed. Doctors are beginning to recommend therapeutic Yoga as a method that helps to alleviate mental and physical ailments. A whole new field is springing forth in therapeutic Yoga as the cost of modern medicine sky rockets out of site. The co-pay for a hospital stay can cause instant financial ruin. The Yogic option toward health is preventative, inexpensive, non-invasive, and you can leave a Yoga school feeling better than you did, when you first came to class. Physiotherapy, chiropractic, massage, acupuncture are being prescribed in record numbers to combat crooked, tired, aching, knotted bodies across the globe. This is a time when a safe Yoga practice could be done at home to promote self healing and prevention of health problems. All students need to do is learn the basics, understand their bodies, and be proactive about their practice. Displacement of any part of the skeletal frame causes the nerves and nadis to suffer disease. Any of the following common symptoms result when the body expresses disease: High blood pressure, headache, backache, chronic pain, anxiety, and many more. All of these ailments can be alleviated with regular Yoga training practice. As the body compensates, adjusting to accommodate new pain in an affected area of the body, it shifts away from proper alignment, and this creates awkward movements and poor posture, which create more new aches and pains. Proper functioning of the nerves, organs, and joints, are at risk to suffer a chain effect of injuries that result from the original problem. Yoga promotes deep full body stretching techniques from which the muscles are able to release and relax. The soft tissues throughout the body expand the space between the bones and joints. This creates a natural cushion of space for the joints and organs to move freely, while our blood flow circulates from head to toes. Ayurvedic medicine makes us aware there should be space for the nadis (nerves) to carry vital energy (prana) through open space in between the joints and ligaments. The body is better able to circulate vital life force into any blockages that may remain. Soft and compliant now, the body is able to function optimally as every organ, muscle, and bone functions with ease. Thus the body is healthy and supple, while pressure within the body is released. 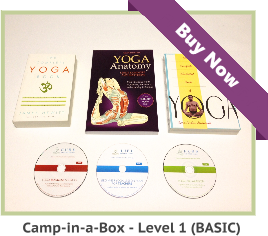 Do you want to become a certified yoga teacher? 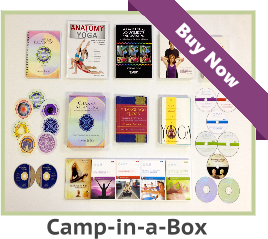 See our selection of affordable 200 hour yoga instructor training intensive courses.